Although Bungie got their start and made their name with their Halo series on the Xbox, their new game Destiny will appear on the Playstation 4 as well. The game was released to a lot of fanfare after a huge marketing campaign and tons of hype. Now that the game is out, just how well does it stack up to its expectations? Let’s take a closer look at Destiny on the Playstation 4 and see if it’s worth the money. The new Playstation is a powerful system, and you’ll notice that Destiny takes well advantage of its capabilities as soon as you first load it up. The game worlds are beautifully stylized and finely tuned alien environments that definitely have a fine dose of that Halo aesthetic that we’ve all come to love. The game worlds are polished on almost every level and blend in very nicely with one another on the PS4’s powerful system. Once you’ve stopped marveling over the aesthetics of the game, you’ll want to get down to business and into the fray. 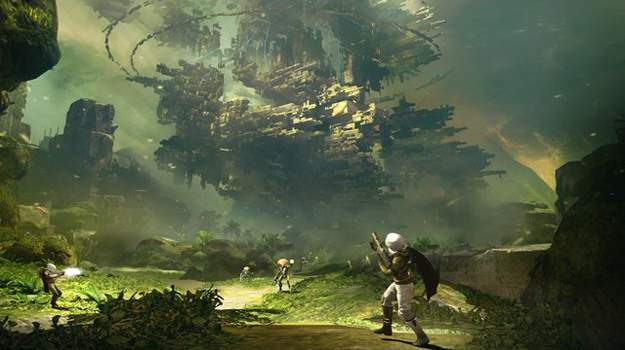 Right off the bat, Destiny looks like it will be bringing a ton of innovation and improvements to the FPS genre. Everything fans loved in the Halo series is well accounted for: the tight controls, the precision aiming, and the free-flowing movements, but Destiny is bringing much more to the table. The game has a ton of dynamic movement and fluidity to it. There will be sprinting and sliding, along with special class-based movement skills such as double-jumping, teleportation, and gliding. The movement added along with the variety of gun-types, the strength of melee attacks, and the powerful explosives means the combat experience in Destiny for the PS4 will be very dynamic and unlike anything seen before in the genre. The combat arenas and maps in Destiny are just as engaging and fun as they were in the Halo series. Each one has been smartly crafted to make fights very dynamic. There’s strategic barrier and cover placement, a ton of vertical mobility, and plenty of obstacles to ensure that every fight will have a ton of variables to consider and ways to engage. Combined with the combat mechanics, this means that fights in Destiny are always fast-paced, challenging, and fun. While Destiny is a fantastic game if looked at as just an FPS game, there’s also a ton of RPG elements added into the mix as well. First off, there will be three different classes that characters will be able to choose from. Early on, the classes will seem just about the same as the others, as they can each use the same types of weapons and the skills seem to only give players very subtle changes to combat. Even early-game gear will have players feeling about the same, regardless of class they choose. The gear will look different, but the actual stats they provide won’t be meaningful until end-game content. Once there, though, the classes will start to diverge and you’ll really start being able to make meaningful choices based on your group’s class-makeup. While the gear does seem to be about the same early on across classes, the system it’s based in shows a lot of promise, as there are a ton of unique features it brings to the table and clear choices to make when deciding one piece of gear over the other. 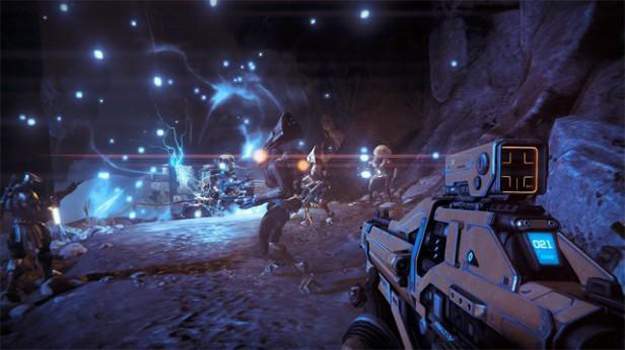 Bungie billed Destiny as a multiplayer game rather than just a single-player FPS with a multiplayer setting added onto it, and this is very apparent given the fact that an internet connection is required to play at all times. With that said, fans of single-player games will definitely feel at home while going through the story portion of the game, as the campaign and multiplayer aspects do feel rather separated from one another. In addition to that, there isn’t much of a way to interact with people unless you’re already in a group. You can’t speak to them unless they’re in your group and you can’t trade gear. This has led to a lot of people using forums or websites outside of the game just to find a group of like-minded players. This is something that can be easily improved upon in the coming months, though, so hopefully Bungie will recognize the lack of community as something that needs progress. The Halo matchmaking system online is arguably one of the most important parts of the series, and unfortunately, Destiny doesn’t seem to have a comparable system. There’s still player versus player mode, but no real way to customize map settings or use team matchmaking capabilities. This is another thing that can be easily added on later, though. Luckily, once you’re in the game, multiplayer and versus modes feel very engaging because of the combination of sleek mechanics and well-designed maps. This will become even better once more players make it to the end-game content. While the hype around Destiny was gigantic, the game itself has proved itself to be a very worthy addition to the FPS genre, which is already full of legendary titles. The game feels very polished and engaging on the FPS side, but can definitely do with some improvements when it comes to the RPG aspects. 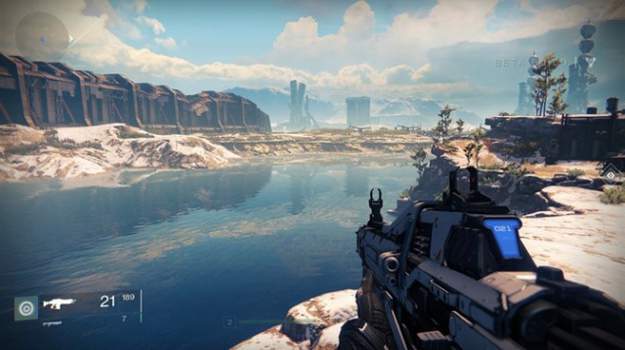 Overall, Destiny is definitely worth the money for any fans of the FPS genre.